This is the final project from the digital drawing class I took last fall. It's based on a photo I took of my boyfriend Avery and then drew in pencil, by hand on hard copy (at about 18"x24"). 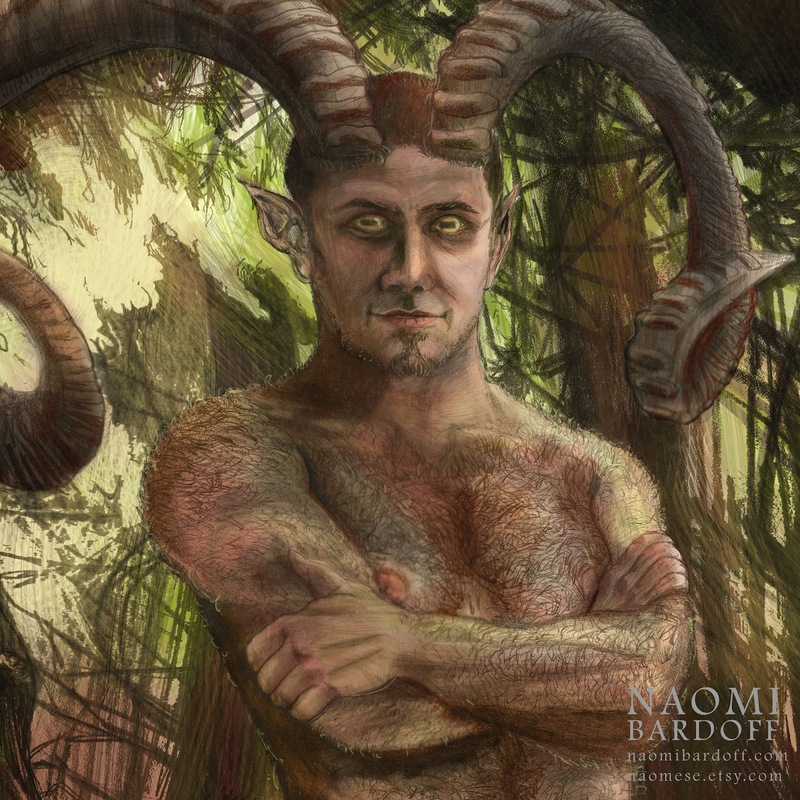 Obviously, I made him a satyr. In case you're wondering, one of my pet peeves is the lack of body hair in fantasy art. 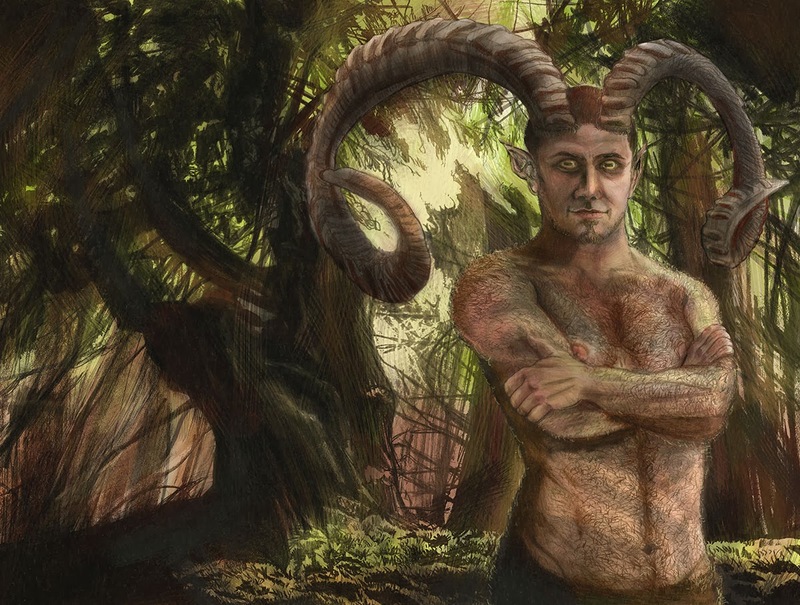 Are you tell me a satyr would wax his chest? I had a lot of fun figuring out the lighting and learning how to draw body hair with a tablet. 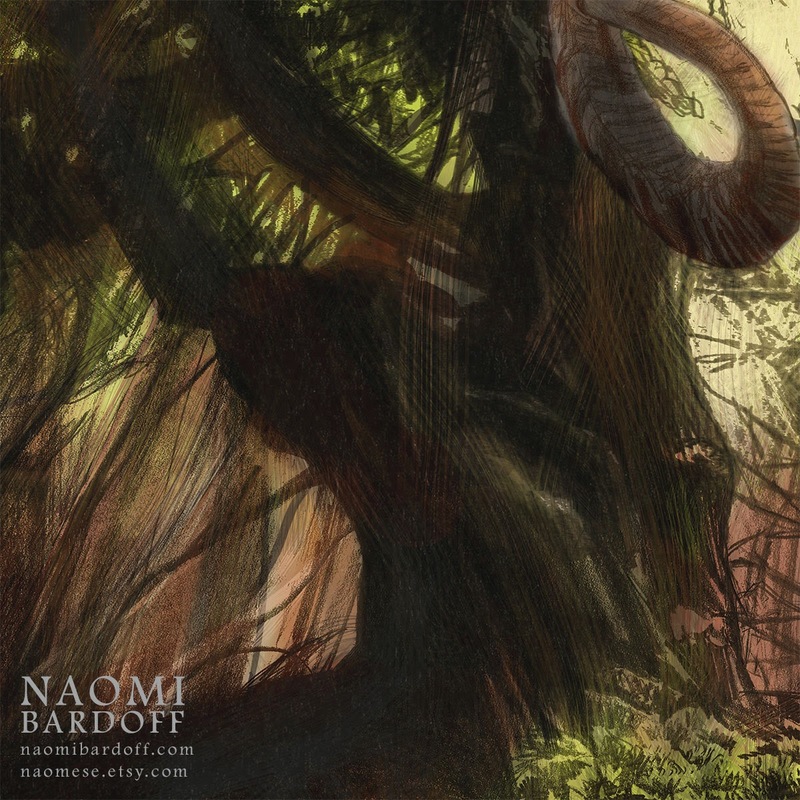 Then I drew the forest scene and the horns and put them together in the computer, then colored the whole thing with the class Wacom tablet. The composite pencil sketch is below, followed by a couple details.